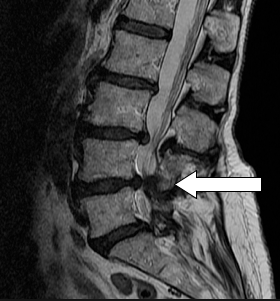 Spinal stenosis refers to spinal column or spinal root compression brought about by the narrowing of backbone spaces. This compression results to the sciatica-like pain felt on the affected areas. Pain associated with this condition is often described as tingling with accompanying weakness and radiates to other parts of the body. Several cases report that patients suffering from this condition might experience debilitating pain and numbness. Spinal stenosis comes in two types, each affecting a different part of the body. The first type is called cervical spinal stenosis. Cervical spinal stenosis refers to spinal cord compression on the neck area. Apart from pain and numbness, physicians are concerned with this spinal stenosis type being on the neck area. Aggravated stenosis may result to physical weakness and even paralysis on some patients. The next type is lumbar spinal stenosis, which affects the lower back area as the spinal root is compressed. This is the main cause of tingling pain that radiates from the lower back to the thighs and legs. Around 75 percent of spinal stenosis occurs in the lumbar area where pain is aggravated through movements or activities. 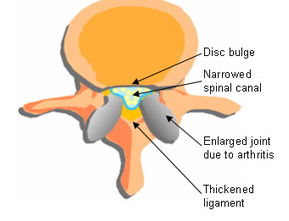 Arthritis is the main cause of spinal stenosis. It all starts with degeneration of the intervertebral disc, which then causes abnormal motion in the spinal joints, leading to arthritis. With the overgrowth of bone and soft tissue due to arthritis, nerves start to get pinched as they are exiting the spine. Often times, this does not result in any symptoms. However, an individual may end up with pain in the buttocks and legs when the nerve roots are inflamed. 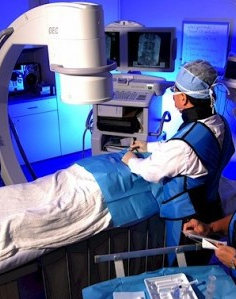 What Treatment Plans Help with Spinal Stenosis? Therapy approaches include physical therapy and changes in daily activities to loosen compression while promoting mobility. It also boosts strength on the abdominal and lumbar areas for better support and pain relief. Pharmacological approaches include providing NSAIDs or non-steroidal anti-inflammatory drugs for pain alleviation. Additional medication options may include nerve modifying agents such as Neurontin or Lyrica. Many patients are able to remain active despite having this condition, especially after changing activity choices and work. Over 90% of individuals are able to avoid surgery and obtain adequate pain relief with nonoperative therapies. Seattle Pain Relief offers the best spinal stenosis treatment options to help individuals avoid surgery. 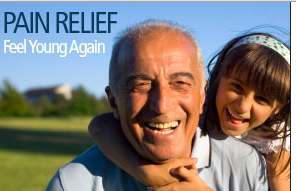 Most insurance is accepted, call (206) 536-3007 for pain management Seattle trusts today!